Attention parents of squirmy babies and stubborn toddlers: there’s a new thermometer that makes dreaded temperature taking easier on everyone. The Kinsa Smart Ear Thermometer is a sick day savior, providing an instant, accurate reading with the press of a button. It wirelessly syncs to the Kinsa iOS or Android app on your smartphone, tracking fever data so your frazzled mind can focus on other to-dos for your little patient. You can create profiles for every family member, store temperature readings, log medications and dosages, record symptoms with photos (which makes for more efficient doctor’s visits), and get the 411 on illnesses going around in your area. It even offers guidance on next steps from medical experts. Better yet, it’s so fast and simple, you can take the temp of a sleeping baby without risking a wakeup. 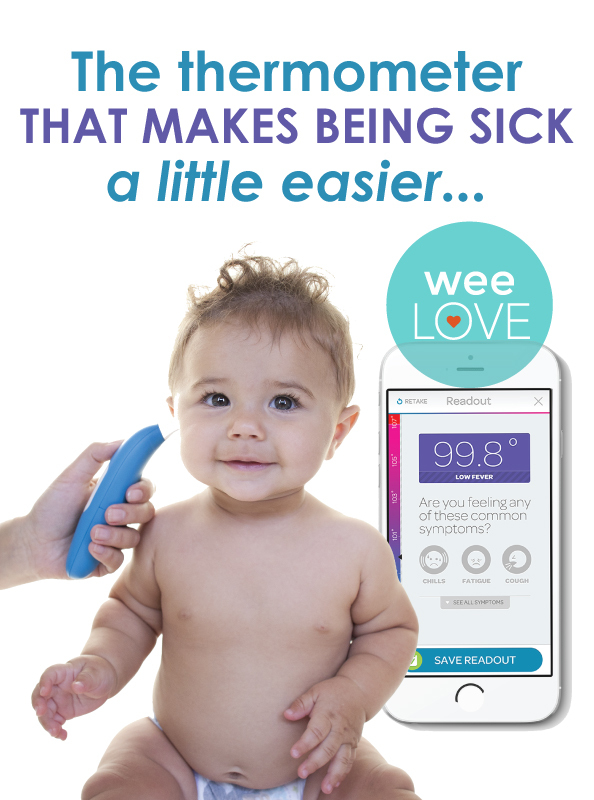 weeLove their first smart thermometer and this second-generation version (available for pre-order now!) delivers even more sick day support. With cold and flu season just around the corner, we’ll take any bit of extra help we can get.